As the most populous country in the world, and the second largest by land area, the People’s Republic of China has developed a fascinating and diverse cultural history that stretches back centuries. Modern China is a Communist nation which has a booming economy and growing international influence. In the past, China was a feudal nation ruled by various great dynasties, and the borders of the country were written and re-written many times. A good indicator of this is how many languages are common in the country: a good estimation is that around seven distinct languages are local to China. This has resulted in China a being a huge and populous country with a complex and fascinating amount of history waiting to be discovered in every region. Throughout history, China has been ruled by great dynastic royal families that have each had a profound effect on the state of the nation around them. It is believed that these dynasties stretch back into prehistory, and writings exist of ancient dynasties for which there is no concrete evidence. These dynasties were often headed up by a King or Emperor, who had dominion over the entirety of China. Each new dynasty replaced the last by violent means, and was then tasked with writing the history of its predecessor, which has resulted in a surprisingly complete history of the royal families that ruled the nation over the centuries. Much of the most distinctive and recognisable aspects of Chinese culture such as architecture, art and music were developed in the Ming Dynasty. Some of these dynasties enjoyed fabulous wealth. The last great dynasty was the Qing Dynasty, who ruled China from the 17th Century up until 1911, when a Republic was founded to govern the country rather than the outdated dynastic system. Beijing is the capital city of the People’s Republic of China, and is a vast and ancient city that serves as a hub for the nation’s politics, trade and culture. Formerly known worldwide as Peking, it has its origins as a city over three thousand years ago and it has been the nation’s capital for over seven centuries. Its streets are home to a fascinating mixture of architecture and design, with the familiar old Chinese buildings and more functional communist-era dwellings being newly renovated by the nation’s booming middle class. It’s not unusual to find areas such as the Legation Quarter, a vibrant area of bars, restaurants and art galleries that was actually the US Embassy until the communist government closed it down in the 50s. More recently, it has gained global attention as the host city of the 2008 Summer Olympic and Paralympic games, with Chinese athletes dominating the amount of medals won in both competitions. There is a great emphasis on physical fitness and well-being in Chinese culture, making its people natural athletes. Cycling is very popular throughout the city and is also a great way to travel as a visitor too, although caution is advised when riding near busy roads. A great deal of other sporting events are held in the city as well, including the 2013 East Asian Games in October, and the Summer Youth Olympics in August 2014. The Great Wall of China is such an icon of the nation that for many westerners it is the first thing that comes to mind upon mention of the country. Although the rumours that it is the only man-made object visible from space are completely untrue, it is still an impressive and awe-inspiring sight to behold. The Wall was originally a series of walls, built by eastern dynasties to protect and fortify their lands from marauders and invaders from the east. Originally built with wood and earth, the wall was bolstered into its familiar brick-and-stone formation by the Ming Dynasty between the 14th and 17th Centuries. They linked many of the smaller walls into several much bigger and more expansive ones, and the current length of the fortifications is estimated at as much as 13,000 miles. The wall has had many uses across the ages, which include protection during wartime, border control and trade taxation, as well as a source of regional and national pride for the peoples who built it. Although certain sections of the wall are in disrepair, the areas within Beijing municipality have been refurbished and tours are regularly organised from Beijing city. This is an awesome feat of architecture that humbles any visitor as evidence of the vision and skill of one of the world’s oldest civilisations. The Forbidden City in Beijing, a gigantic plaza covered in great palaces and ornate statues, was once the centre of the Chinese Empire and the seat of the great Ming and Qing Dynasties. Built early in the 15th Century, its 900 rooms housed the Emperors of China and their households, and served as a site for political and ceremonial affairs. It is known as the ‘Forbidden City’ as when it was the home of the Emperor, it was impossible to enter or leave the walled compound without the Emperor’s express permission. The oldest collection of wooden structures of its size in the world, the buildings are some of the best preserved examples of Chinese palatial architecture. 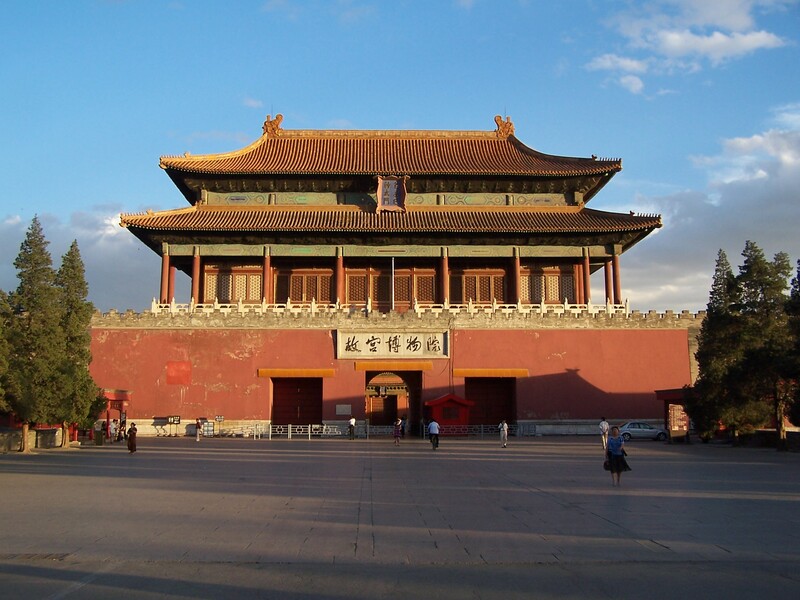 In modern times, it is the home of the Palace Museum, and significant tourist attraction. It houses a great deal of China’s national treasures; the greatest and oldest art, calligraphy and culture from the dynastic ages. China’s huge size and feudal past make it a uniquely fascinating place to visit and learn about. From Dynastic Rule, to the Chinese Republics and the modern-day People’s Republic, each era has made an indelible mark on the nation’s culture, identity and sometimes even its borders. A visit to China will be a discovery of both one of the most ancient and great civilisations in the world, and a modern, emerging power on the world stage.